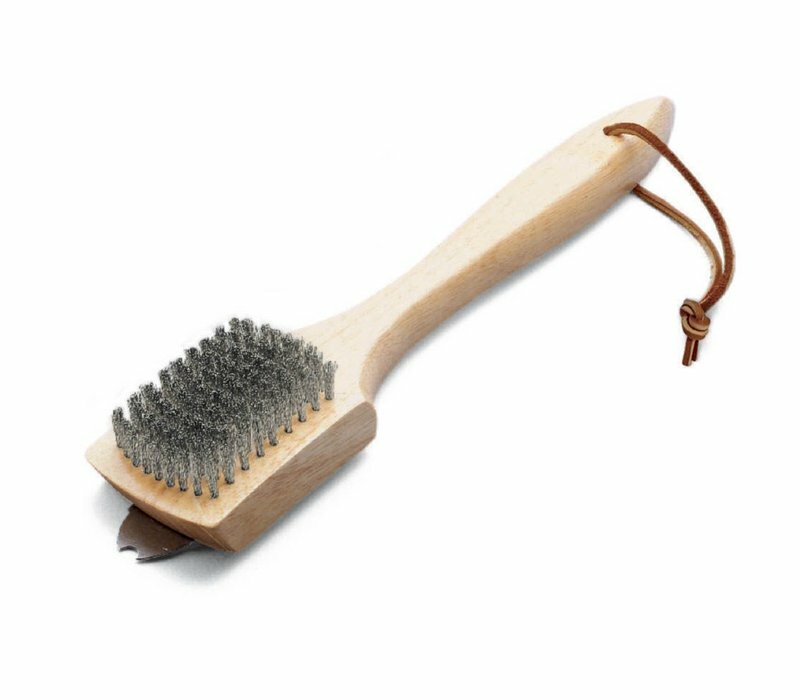 Use the Grill Brush - 30cm Bamboo Handle to clean off yesterdays meal and get ready for todays. Bamboo. Notched scraper to remove stubborn dirt.